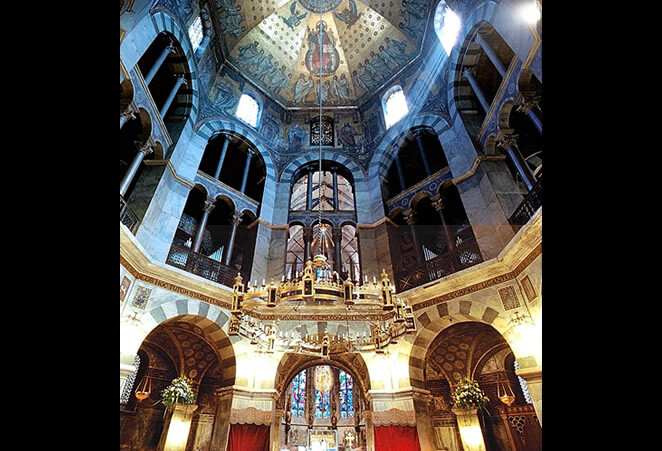 The most representative monumental building of the Carolingian renaissance is the Palatin Chapel in Aachen. 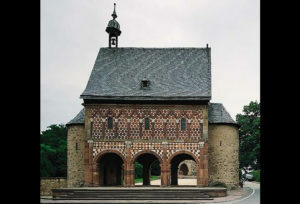 It was built between the years 792 and 805, and was the spiritual center of Charlemagne’s court and the crowning hall of German rulers for the next 600 years. 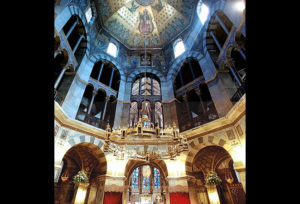 Today it is the core on which the Aachen cathedral was built, and looks very small compared to the later upgrades, but at the time it was built, it was the largest dome church north of the Alps. 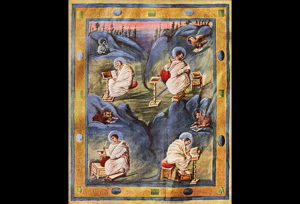 What did this medieval revival of (primarily antique) scholarship really bring? Compared to the few centuries before, the period of Charlemagne’s reign can be truly considered a massive cultural ascent. The school system has been organized (though still available to a very limited number of students), literacy revived. 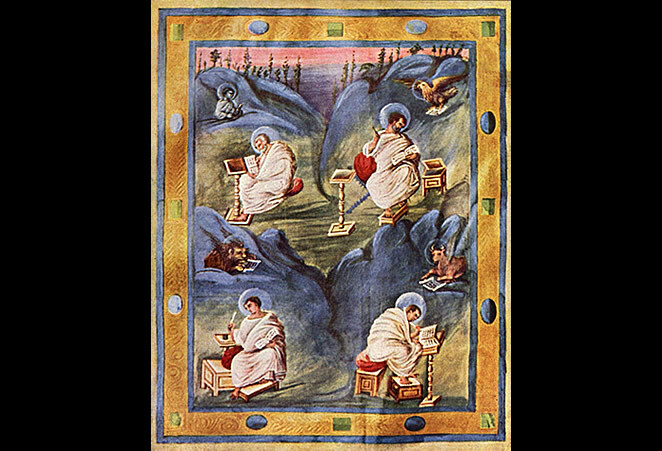 Valuable works of antique science and literature have been transcribed in the Carolingian scriptoria, which would otherwise be irrecoverably lost.11 To these centuries we owe our present epistle system (minuscule). Historians are still ambivalent about the proper characterization of the period of Charlemagne’s rulership. Does it reflect the last glare of Antique, or show the first peak of medieval Europe?13 It is fair to say that this was an issue for Charles’ coevals. They imitated Antique, especially in architecture, but they also realized it was not really Antique any more. Charlemagne’s rulership was de facto the first cultural rise since the golden age of Ancient Rome. By perceiving his rulership and the organization of the Frankish Empire, and even the act of his crowning itself,14 this is definitely a culture in domain of the Middle Ages. The fact that they found their ideals in Antique, does not indicate a desire to resurrect the antique society. Through history, the Antique, especially antique Rome, were periodically used as an inspiration, and the reconstructions of Antique occurred more than once. Therefore, in this case we can actually say this is the first renovatio, a strive to reach the former peak of education, culture and art, and that speaks of high level of self-conscience in the time of Charlemagne. 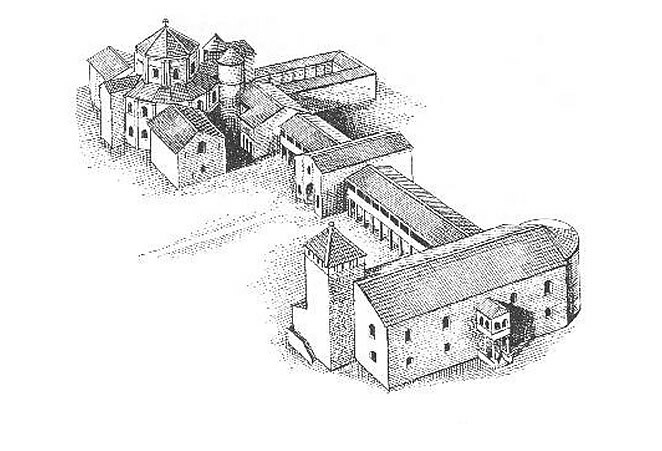 KENNETH JOHN CONANT, Carolingian and Romanesque Architecture 800 to 1200, Yale University Press, 1993. EINHARD, Život Karla Velikog, Biblioteka Latina et Graeca, Zagreb, 1992. SLAVKO GOLDSTEIN (ur. ), Atlas svjetske povijesti, Grafički zavod Hrvatske, Zagreb, 1987. HORST WOLDEMAR JANSON, ANTHONY F. JANSON, Povijest umjetnosti, Stanek d.o.o., Varaždin, 2003. GINA PISCHEL, Opća povijest umjetnosti 2, Mladost, Zagreb, 1970. MELITA TOMAŠEVIĆ (ur. ), Povijest svijeta, Marjan tisak, Split, 2005. Thanks for all incredible bank of information! 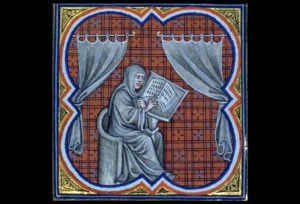 Hi, enjoyed your site – because I am also fascinated by medieval culture (also in literature = Parzival!). WOW, you are amazing! Great writer; very clear information. Thank you very much! Thank You for such a good information. But it is too short. Awesome stuff here, helped me out a lot in a very important assignment I had to do. Thanks so much, as I am a direct descendent of this interesting man. What a different time back then! Hey, awesome article with (what looks to be) great information. We were just wondering if you could include the sources? 🙂 We’re making a documentary for our Social Studies class about the Carolingian Renaissance and we are required to put our sources for the information we will include in the docu. Thank you! Really helpful! Needed to find information on Charlemagne’s achievements, and this is perfect! Can you include the sources? This doesn’t correspond with something I saw, but I trust this more.